Please note that the content of this book primarily consists of articles available from Wikipedia or other free sources online. 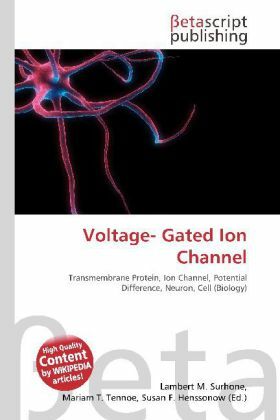 Voltage-gated ion channels are a class of transmembrane ion channels that are activated by changes in electrical potential difference near the channel; these types of ion channels are especially critical in neurons, but are common in many types of cells.They have a crucial role in excitable neuronal and muscle tissues, allowing a rapid and co-ordinated depolarisation in response to triggering voltage change. Found along the axon and at the synapse, voltage-gated ion channels directionally propagate electrical signals.